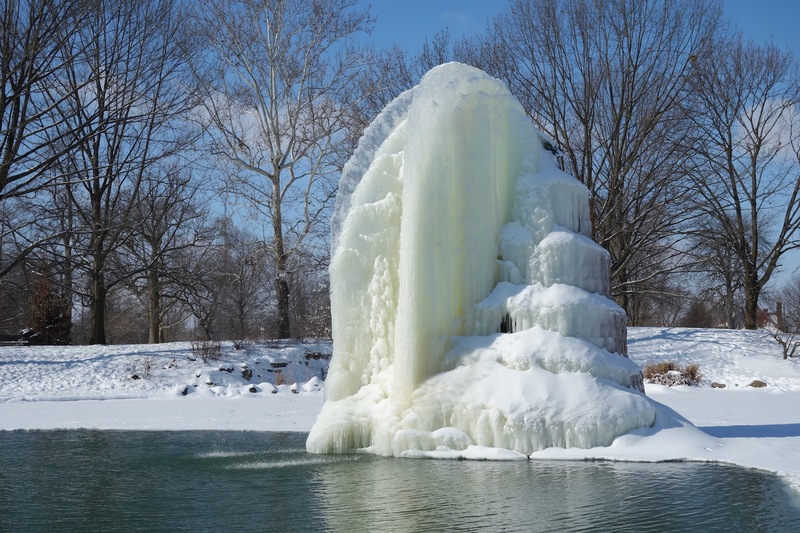 The Public Art Network Year in Review program has recognized our own Goodale Park Fountain, by local artist Malcolm Cochran, as one of the most compelling art projects of 2013. The fountain project was honored in June at the Americans for the Arts annual Convention in Nashville. Congratulations, Malcolm! Goodale Park Fountain was commissioned by the Friends of Goodale Park, with support from the Columbus Recreation and Parks Department. Cochran’s design developed from research on the history of the park and the Sells “Circus House” at the corner of Buttles and Dennison avenues. Early photographs reveal that there have been vertical, rockwork fountains in the park for nearly all its existence. Year-round operation and the resulting ice formations were a significant aspect of these water features. The Sells Brothers’ Circus was renowned for its troupe of elephants, and the pair of elephants at the top of the fountain is a nod both to the history of Columbus and to the convention of animal imagery in public fountains. Paul Cianelli, to whom the fountain is dedicated, initiated the effort to create a significant public art water feature in Goodale Park. Former President of the Friends of Goodale Park Stan Sells spearheaded its realization. Columbus Art Memorial constructed the tiered granite base; the bronze elephants were produced at Casting Arts Technologies, Cincinnati. 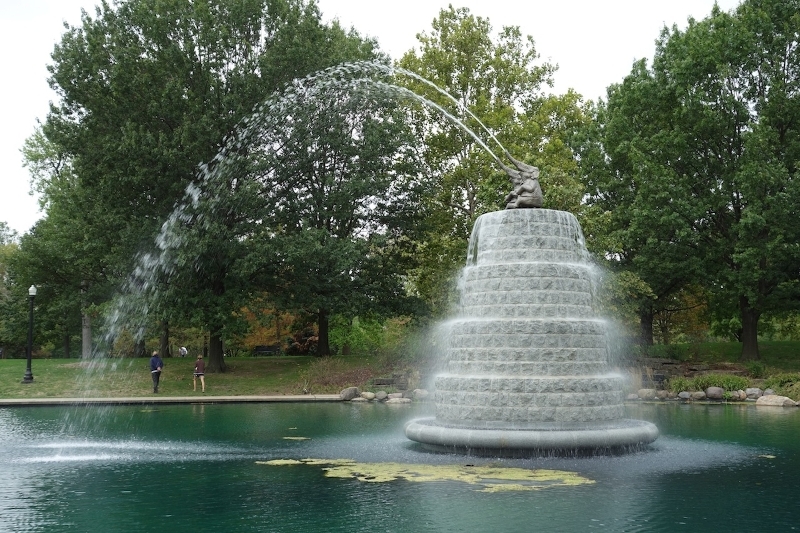 More than 11 years were required for planning, fundraising, designing, and realizing this project.Goodale Park Fountain is an example of a remarkable commitment by the volunteer group and the artist, and a fruitful partnership with the City of Columbus. Various funding agencies and artists submitted 345 diverse public art projects from throughout the United States for possible inclusion in the Public Art Network Year in Review. The 37 selected works show “the breadth of talent from artists around the country,” according to Robert Lynch, president and CEO of Americans for the Arts. “These winning pieces reflect the diversity of public art in our communities, from temporary projects to permanent, and sculpture to performance art. These projects engage new audiences and help build stronger and more vibrant communities. The 2013 Public Art Network Year in Review curators were Cath Brunner, the public art program director of 4Culture in Seattle; Ralph Helmick, an award-winning artist based in Newton, Mass., who specializes in public sculpture installations; and Janet Zweig, a Brooklyn-based artist recognized for creating public art pieces and performance spaces. Mr. Helmick and Ms. Zweig have had multiple works included in past years of thePublic Art Network Year in Review.